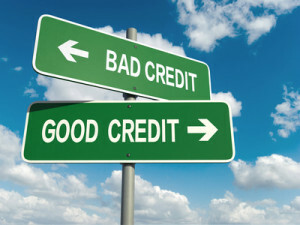 Do you know that it doesn’t have to be hard to increase your credit score? Here are 30 ways that you can get an excellent score and get the interest rates you need! Get your free credit report from Annual Credit Report. 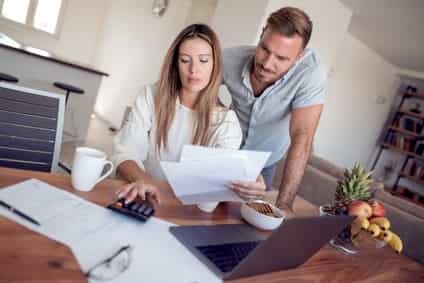 This is the first thing you need to do to start analyzing your credit history and making sure you’re ready to take your credit into your own hands. If you want to get FICO score go to MyFico, which is the only legit site that offers FICO score. Any past due payments, pay them off. Don’t let a payment go 90 days late: it can hurt your score very badly! Make all future payments on time. You’re given a grace period between your statement date and your due date. Know your due date and make sure you send your payment in 5 days before that date. Always pay above the minimum balance. 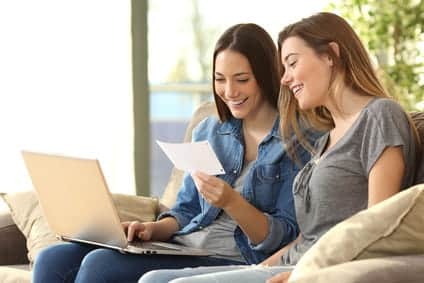 By paying more than the minimum balance, you are proving that you are responsible enough to pay down your loans and credit quicker than you are told to. Increase your payment amounts on old loans. By paying down old loans faster, you are showing that you can handle more credit AND that you are taking out a responsible level of credit. The faster you pay down your loans, the better, and you will see your score go up. Pay off new loans quickly. This goes back to the general rule about paying loans down fast. It’s okay to get new loans, and to hold a balance, but you want to clear your different balances as much as possible. Ask for credit limit increases once every year, on your lowest limit account. 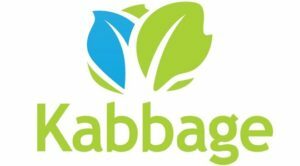 This is an easy way to decrease your utilization percentage. However, doing this effectively requires that you keep your same habits and that you don’t use credit irresponsibly. Never close your oldest credit accounts. Average age of credit accounts AND oldest credit account are both factors that go into your credit score. The longer your credit history, the better, but it also shows responsibility if you were able to keep a credit account open for a long time. If you open a credit account at 18, you’ll have a 22-year old account at the age of 40, and likely a high credit score to boot. Open new credit accounts every few years. This is a strategic ‘fast track’ to an 800+ credit score. 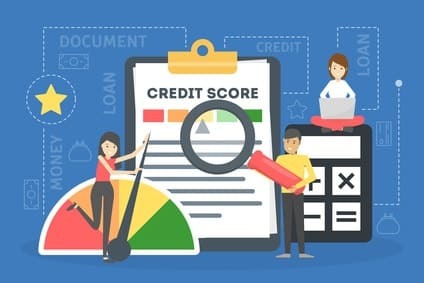 In addition to taking out news loans, paying them down, and increasing your limits, opening new accounts (although it will dock your score in the short term) will prove to the bureaus that you can take out many different types of credit responsibly. It also decreases your utilization percentage. Don’t open new accounts too fast, though! Average age of accounts is still important. Run a very small total balance on your credit accounts month to month. Aim for a remaining balance of less than 5% of your total credit allotment. This way you show that you can use credit for long periods responsibly. Have a single card that you use daily expenses for, and pay the total balance off in full every month. You show that you can utilize credit often, and yet still be using it properly. Cluster your loan inquiries in a 2 week period. This is a trick that many people use to make sure that they can get the best rates. Do it quickly, though! Use a credit monitoring service. Services such as MyFico are excellent for tracking changes to your credit report and protecting yourself from those who want to ruin your credit. Dispute any errors on your credit report with the bureau that reported it. If an error is found and then struck off your record, your credit score could go up INSTANTLY. Why? There could have been a big sore thumb on your credit, bringing your score down. If you have items in collections, call the company to get them out of collections. 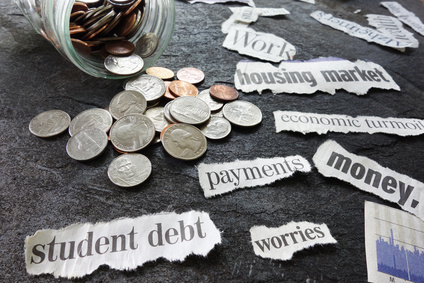 Pay off what’s due, and prioritize it over other debts! If you know you paid, dispute it with your credit bureau. If you have past items in collections on your report, call your bureau to get them struck from your report. Often times, items in collections that are paid off remain on your report. You can call your credit bureau to strike them, so long as they can confirm that you did, in fact, pay it off. Avoid payday loans entirely. These are a trap, and if you have bad credit they might seem attractive. Do NOT use them! By steering clear of payday loans, you protect your credit from harm due to predatory lending policies and a high risk of collections. If you have a very low credit score, or no history, get a retail store card and pay the balance off every month. Most retail stores offer credit or charge cards that will approve anyone with an income: bad credit or no credit. It’s harder to get a loan with no credit than with bad credit, so if you need to start a history, start with a store card! If you have a very low credit score, or no history, get a secured credit card and pay the balance off every month. This, like the last tip, is perfect for those who just experienced a bankruptcy or had to deal with a lot in collections, or for those who just started their credit history. Leave most debt on your credit report. Only get items that went in collections struck from your report. If you have a paid off mortgage or auto loan on your record, this implies responsibility. Become an authorized user on a parent’s or significant other’s credit card. This requires someone you trust, and someone who trusts you. If you’re authorized to use someone’s high limit credit card, it can be shown that you can be trusted with money. Don’t simply cancel a credit card: report it lost or stolen. This is a grey area trick if its not actually lost, but it’s 100% the best thing to do if you ever get your card lost or stolen. This causes balances (and card age) to transfer to a new account. Keep hard inquiries to a minimum. Hard inquiries are when someone takes a peek at your credit history with the intent of letting you borrow money or an asset. This can happen not just when you go to open a new bank account or get a loan, but also when you rent a car. It must be noted that some inquiries of the same type will be treated as hard (where there is an effect on your score) and some soft (where there is no effect). Take advantage of balance transfers. Balance transfers are when the balance and the card’s history is transferred to a new card, like a rewards card. This is a great way to change your ‘daily use’ card to one that gives points or Air Miles. Lower your total debt-to-credit ratio by paying off large outstanding loans. By monitoring your debt-to-credit ratio, you can see where you stand when it comes to your debt. Use all of your cards strategically. Some cards can be reserved for grocery and gas, others can be reserved for travel, and some can be reserved for clothes. By having multiple cards that give different rewards, you are keeping a diverse credit usage record. Track your credit score. MyFico allow you to track trends in your credit score and see what happened month by month. Those services can help you maintain good credit without spending too much time worrying about it. What is an Installment Loan and Is It Right for Me?